RHIANNON BRADFORD MSc Vet Phys. 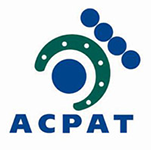 BSc (Hons) MCSP HPC ACPAT Cat A. Chartered Veterinary Physiotherapist & Director / Partner. Rhiannon will be holding regular clinics at our Kidderminster surgery at times and dates to accommodate clients’ needs. Referrals are being taken from veterinary practices throughout the West Midlands including our own. For clients who wish to discuss having their animal seen by our physiotherapist please contact your veterinary surgeon at your own practice to arrange a referral. We will need a full clinical history and referral letter from your own vet to be able to arrange the appointment. VETERINARY SURGEONS wishing to contact Rhiannon to discuss a referral case please telephone Bradfords’ Veterinary Physiotherapy on 01432 890490. CLIENTS wishing to arrange an appointment with Rhiannon please discuss with your own veterinary surgeon to arrange a referral appointment. Appointments cannot be made without a formal referral from your own veterinary surgeon. This is because Rhiannon needs your animal’s clinical history and to report back to and liaise with your vet about further treatment options. 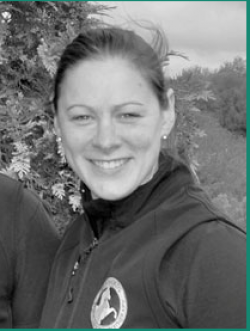 Rhiannon started and developed 'Bradford's Veterinary Physiotherapy' in June 2006 and it has grown ever since. Whilst setting up the practice Rhiannon also provided her expertise to advise Herefordshire Council and the Primary Care Trust to assist them in setting up rehabilitation services across Herefordshire. Rhiannon is currently the practice manager and developer of the practice and continues to implement and drive change towards their aim as a practice and its position within veterinary medicine. Rhiannon also splits her time between clinical cases and looking after their two young children.